You can watch five great animated Lego Batman shorts online HERE. New Dc Universe Figure pics! Mattel has sent LOG pics of the Dc Universe Classics Waves 6 and 7 figures! For more Dc Universe Classics, visit our complete archive of the figures HERE. 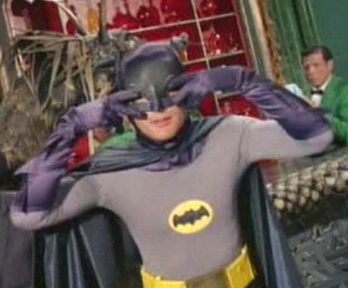 1966 Batman tv series coming to DVD? Maybe. We posted this back in early September, but I thought that I would put it back out there for our new readers. We have images and details about the Dark Knight DVD and blu-ray releases, coming in December. Click HERE to check it all out. Batman Lego Video Game Codes & Hush! 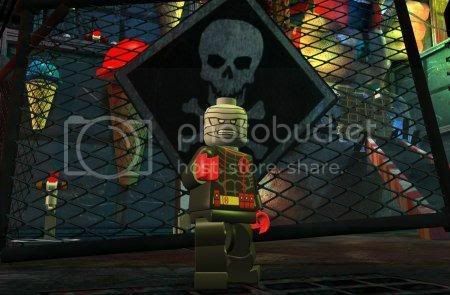 Above is a picture of HUSH from the Batman Lego Video Game. Below, we offer some codes from the McDonald's Lego Batman toys that will unlock things in the game for you. Enjoy Bat-Fan! 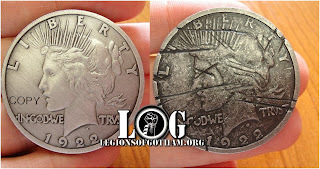 Our ongoing discussion of the codes is on our forum HERE. "the Joker" creative team at Wizard World Texas! Dc Direct Bat-Product for Dec.
Lego Batman at McDonald's TODAY! McDonald's Happy Meals offer Batman Lego toys beginning today! Here is a pick of them all in package and a shot of the Happy Meal box from ebay. As always, check out our infamous Batman Fast Food Archives for the latest on any batman kids meal promotion new or old. Mcdonald's Batman Lego Toys out Friday! Remember, this Friday, September 12, is the start of the McDonald's Batman Lego Happy Meal promotion! Visit our forum for the latest discussion on these premiums. And as always, you can visit the MOST complete Batman fast food archives available anywhere here on Legions Of Gotham. Click HERE for that. Please join us in welcoming our newest sponsor to Legions of Gotham, Tonner Direct! The makers of the beautiful, high-end Dc Stars Doll line! Dc Universe Classics wave 4 in package pics! Mattel has released some great in-package pics of their DC Universe Classics line, wave 4. Click HERE to check 'em out on the forum. And for more Dc Universe Classics, visit our toy archive HERE. 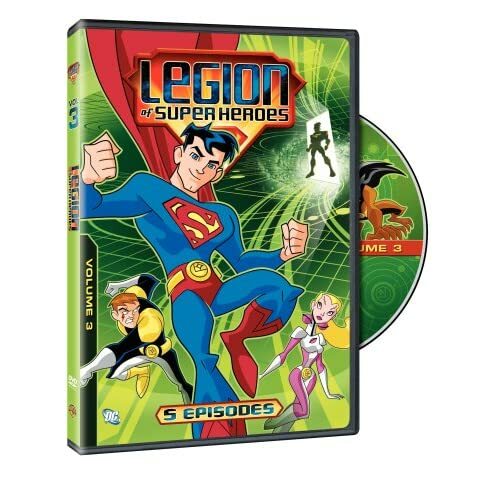 Review: This release marks the third compilation of episodes from the Saturday morning cartoon, Legion of Super Heroes, which aired on the now defunct Kids WB!, on the CW Network. The first thing to note on this is that there have been no full season releases from this show. This is currently the only way to purchase them. This DVD gives us no extras, no backstory and no fun look into the production of the show. The packaging is clean and eye-catching. The episode transfer quality is perfect. There are no complaints with the quality of this show or the DVD itself. Bottom line, this is a great release for younger viewers or those just looking to watch the show time and again. If you want something collectible, then our advice is to hold off for now. LOG Rating: 2 out of 5 Stars! Visit the official DVD website, click here. Click HERE to purchase this DVD today! Review: This Blu-Ray represents the second Smallville season to be released in the format. You can own seasons 6 and 7 on Blu-Ray. Season 5 was released on HD DVD and seasons 1-7 are available on DVD. This latest season of the show is the best yet, with the appearance of Bizarro and Supergirl, Clark's life has gotten way out of hand. The show looks absolutely phenominal on Blu-Ray. It brings out the cinematic quality that the show's production already possesses in spades. 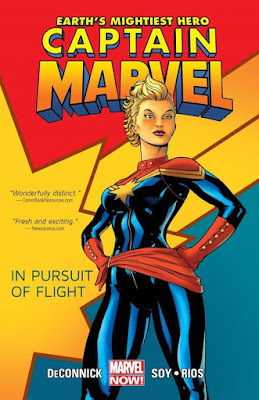 The characters are so well-defined and comfortable at this point that the stories just fall right into place, almost as a natural progression. This Blu-Ray makes a great gift and is definately something that should be at the top of your purchase list as a Smallville, DC or just plain comic book fan! Visit the official website, click here. Click HERE to purchase this Blu-Ray today! 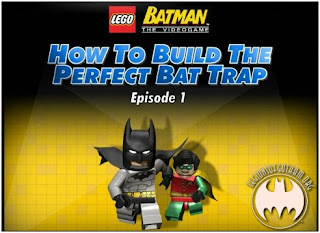 Lego Batman - The TV series!